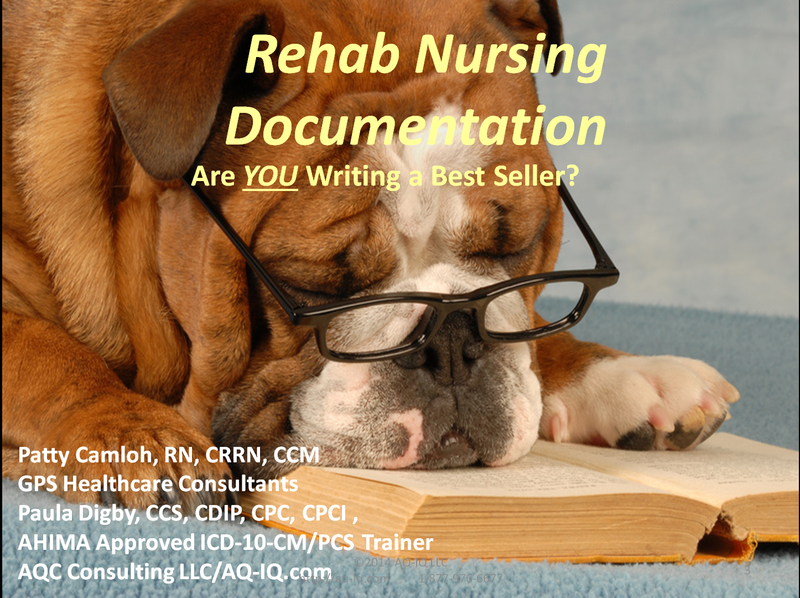 IRF Nursing Documentation: Are You Writing a Best Seller? In the rehab setting nurses are the glue that holds all components together to deliver the right care and to document that care in the right way that supports appropriate reimbursement. In this session Patty Camloh and Paula Digby will describe how and why nurses should write best-selling works (appropriate documentation) that “wow” the critics. This course authored by Patty Camloh and Paula Digby.